What challenges do climbers face on Mount Everest? Some days you might be so happy that you feel like you're standing on top of the world. Would you believe that some people have literally stood on top of the world? It's true! Those who have climbed all the way to the summit of Mount Everest — the highest mountain on Earth — can say they've gone as high as they can on this planet. And how high have they gone? A whopping 29,029 feet (8,848 meters) — about 5.5 miles! — above sea level, to be exact. Mount Everest wasn't always the highest point on Earth, though. About 60 million years ago, two of Earth's tectonic plates — the Indian and Asian plates — collided and started pushing huge mounds of rock into the sky. The result was the Himalayan mountain range with Mount Everest as its highest peak. Today, Mount Everest is still growing at the rate of about one quarter-inch per year! Even though Mount Everest has been around a long time, it's only been explored over the past couple hundred years. In 1841, Sir George Everest led a British survey team that first identified Mount Everest and called it Peak 15. It was later renamed Mount Everest in honor of Sir George Everest. The summit, or highest point, of Mount Everest sits at an elevation that many airplanes usually fly at, and it's higher than birds fly. The summit actually marks the border between Nepal to the south and Tibet to the north. People in Nepal call Mount Everest “Sagarmatha," which means “Goddess of the Sky." People in Tibet call it “Chomolungma," which means “Mother Goddess of the Universe." The summit of Mount Everest juts into the jet stream, a powerful wind current high up in the Earth's atmosphere. This means that the top of Mount Everest can experience wind speeds of over 200 miles per hour and temperatures as low as -80° F.
Such weather conditions would make it nearly impossible to stand on Mount Everest's summit. Twice each year, though (in May and November), the jet stream moves just far enough north to allow climbers to try to reach the top while the winds are calm and temperatures are warmer. Climbers call these periods “summit windows." Climbing to the top of Mount Everest is no easy task, though. The first people ever to reach the summit were Sir Edmund Hilary from New Zealand and Tenzing Norgay from Nepal. They reached the summit of Mount Everest on May 29, 1953. Since then, thousands of people have reached the summit. Unfortunately, many climbers have died while making the attempt. Because of its high altitude, it takes approximately two months to make the climb, because the human body must have plenty of time to adjust to the lack of oxygen at high altitudes. Climbers also face a multitude of other obstacles. In addition to extremely cold weather, climbers face rough terrain. As well as carrying things like tents, sleeping bags and food items, climbers must use special climbing gear. This includes special spikes — called crampons — on their boots, ice axes, nylon ropes, ladders and oxygen tanks to make their trek to the top. Fortunately, climbers get a lot of help from the people in Nepal who live near Mount Everest. These people — called Sherpas — serve as climbing guides and help carry supplies between base camps along the climbing routes. Tomorrow’s Wonder of the Day features an animal that always looks dressed up! Ready to trek to the top of the world? Check out these fantastic resources that will give you a taste of what it's like to climb to the summit of Mount Everest. Take a video journey to Mount Everest and beyond. You can also see hundreds of breathtaking pictures in National Geographic's Everest photo galleries. If you think you've learned a lot about Mount Everest in today's Wonder of the Day, put your knowledge to the test with this fun Mount Everest quiz! What do you think would be more exciting: climbing to the top of Mount Everest or diving to the deepest part of the ocean? What other adventures would you find even more exciting than either of these unique feats? Make your own bucket list of adventures you'd like to go on someday. Share your list with a friend or family member. What kinds of adventures would they join you on? Hi, Seththejeff515! Check out Wonder 1499: When Was the Great War? Great question, John Cena! We hope you will do a little more research and see if you can find the answer to that one! Let us know what you come up with! When was this articl made and who made it ?!?!? Thanks for asking, Meep! We ask that Wonderopolis be listed as the author. Since we do not list the publish date for our Wonders of the Day, you may put the date you accessed this page for information. The following is how you would cite this page ---> "Where Is The Highest Mountain?" Wonderopolis, https://www.wonderopolis.org/wonder/where-is-the-highest-mountain. Accessed 1 Feb. 2017. When was this article written. Hi, Understand! This article was last updated November 15, 2015. Thank you for WONDERing with us! Mount Everest is not even the tallest mountain in the world the tallest mountain is Chimborazo and its under the sea. No way u will climb mount everest people have died its not like its fun either you need 2 year training plus lets say u live in america that flight is worth $8000 so your destination is not Nepal unless u want to move there did I mention it is almost 30000 feet?!? Please reply i will read your reply by November. We thought the video was very interesting! We were surprised that Mt. Everest wasn't the tallest mountain. We were also shocked to learn that there is actually SNOW in Hawaii! Hello Wonderopolis. I really liked this topic and made me interested in this topic. I learned 2 new words in this story. The words were tectonic and crampon. I learned that Mt. Everest is 29,029 ft. which is about 5.5 miles. Temperatures reach -80 degrees F on the mountain. I still am thinking about who owns Mt. Everest? I think that 3 or 4 countries own it, but I wonder about it. Thank you Wonderopolis for the amazing topic. It helped me imagine. Your comment made us super happy today, Team Unger #3! We love hearing that Wonderopolis helped you IMAGINE! Thanks for sharing what you learned by exploring this Wonder. Let's both do some extra WONDERing about which country owns Mt. Everest, OK? Can you do a wonder on volcanoes? I watched this in school a few days ago. I know a mountain higher than Mt.Everest!!! I forget the name of it, though. But, if most of it wasn't under water, it would be the highest mountain today!!! That's really cool, Sara! When you remember what the name of the mountain is, please let us know...we LOVE learning new things, too, especially from our Wonder Friends! Hi, this is Samia from Mrs. Caplin's class. In this wonder, I learned that the highest mountain is Mount Everest. I also think it's really neat that Mount Everest wasn’t always the highest point on Earth, though. About 60 million years ago, two of Earth’s tectonic plates, the Indian and Asian plates, collided and started pushing huge mounds of rock into the sky. I think that's really interesting. I was wondering when people climb Mount Everest how long does it take? Have any kids ever climbed Mount Everest? I don't think I could climb about 5.5 miles. Anyways this was a really cool wonder! I think tomorow's wonder is about salt. I love your wonder on where is the highest mountain. 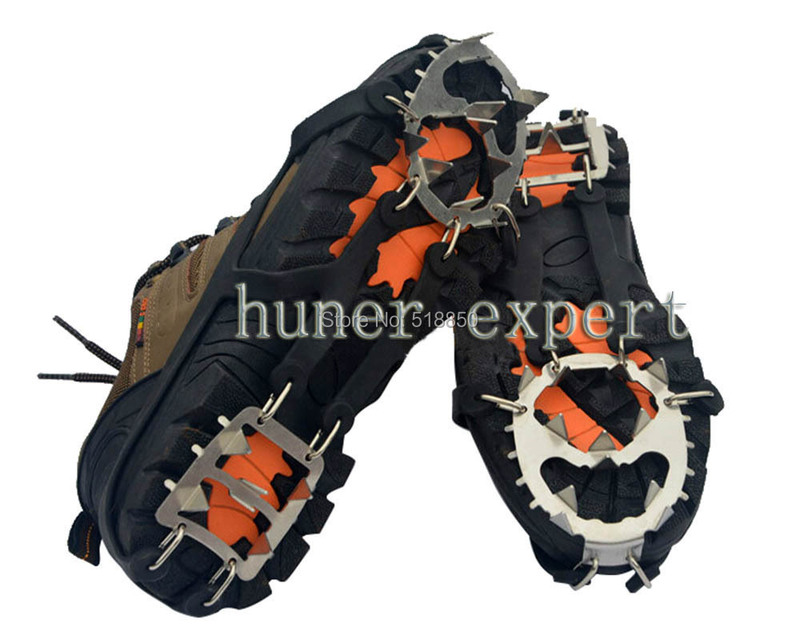 I love the pictures of the crampons, ice axes, nylon rope, the ladders and the oxygen tanks. Our class knew that Mr. Everest was the tallest mountain, but we did not know where it was located. We were amazed to learn that Mt. Everest grows 1/4 inch each year! We wonder if Mt. Everest has ever had a major avalanche! I learned that it is really tough to climb Mount Everest because of blistering wind, cold temperatures, and the lack of oxygen. My name is Jack in Mrs. Bradis' seventh bell. I didn't know who the names of the first people to make it to the summit were. I think tomorrow is salt. Salt dries your mouth and goes with pepper. Dear wonderopolis, I was wondering if you could make a wonder talking about why we have years, dates, and months. Also the wonder I just read is really fascinating! I LOVE IT! I think it would be seasoning. Wonderopolis could you please do a wonder on how, if you subtract a positive number minus a negative number, you get a positive number. For example 3--2=5. Or could you do a wonder on how, if you multiply a negative number times a negative number you get a positive number. For example -3x-3=9. Thank you, Wonderopolis for taking in my consideration for a wonder of the day. We think that tomorrow's wonder will be about salt. Salt and pepper go great together! How many feet above sea level is Mount Everest’s peak? The first people to summit Mount Everest did so in which year?